Love is really in the air right now. With Mother's Day fast approaching, many people's minds are turning to how we can celebrate this special day with that very special lady in our lives. We want to be able to give a gift that she'll love on the day, but also something she can look back on fondly for many years to come. Something she'll remember, enjoy and treasure for a lifetime. A Mother's Day video is an incredible way for you to do just that. Why choose a Mother's Day video greeting? - A Mother's Day video offers so much more than a simple card or bouquet of flowers. On Mother's Day this year, reach out to your mom in an interactive, multisensory way with a video instead. - Videos are great, because they contain a little piece of you. Your own feelings, emotions and personality are borne out for all to see, captured for all eternity in digital format. Not only that, but because it will take you time and effort to capture, edit and perfect your video production, the thought and time that's gone into making it will be worth more than any shop bought trinket. - Videos are easily transferred to smartphones, tablets or other devices, so she can watch it anywhere and at any time, or even share it with other people in her life. How long will that $50 bunch of flowers last for your mom? A week? Maybe two? After which time they'll be forgotten about, fading away forever. A Mother's Day video has no such time limits imposed upon it; in fact, it can last forever. Before you start shopping for a Mother's Day gift this year, think carefully about creating a unique, interesting and thoughtful Mother's Day video for your mom; it could be easier than you think! Before you can start shooting your Mother's Day video, you need to come up with a plan of what to include. Here's a little inspiration to start you off, of things you can consider including in your own Mother's Day video to make her feel extra special this year. Expressing how you feel is sometimes not the easiest face to face, but in a Mother's Day video, you can let the emptions gush out, without the usual embarrassment of having to look her in the eye. Let your true feelings flood out, don't be afraid to shed a tear, and for once, really let her know just how wonderful she's been to you all these years. If you can get your hands on the family photo album, why not give your mom a blast from the past with a montage of your most formative moments growing up. Let her ride an emotional roller coaster in your Mother's Day video, moving from funny to happy, sad to inspirational, and wrapping it all up with a huge thank you. Being a mom is hard, so recognizing how she always tried her best and always had your best interests at heart will fill her up with warm emotions. Use baby pictures, adult pictures, and if you're now a parent yourself, take the story towards the next generation to show her just how much you understand her now. Nothing wrong with a good old fashioned happy Mother's Day, but in Mother's Day video greetings you can add just a little more interest and activity. Get your children involved, hold up signs or sing to her to make her laugh, smile and maybe shed a tear or two. Happy Mother's Day will never grow old, and sometimes the simplest ideas are easily the most powerful. Whatever you choose to include in your Mother's Day video, let it come from the heart and she'll be able to treasure it forever. How can you make a Mother's Day video? There are various services available to help you record and edit a video for Mother's Day, but some are easier to use than others. A top choice which we can thoroughly recommended is the video service provided by Wondershare Filmora. Here's how you can make a wonderful Mother's Day video easily and quickly using this service. How to make Mother's Day video greetings using Wondershare Filmora. 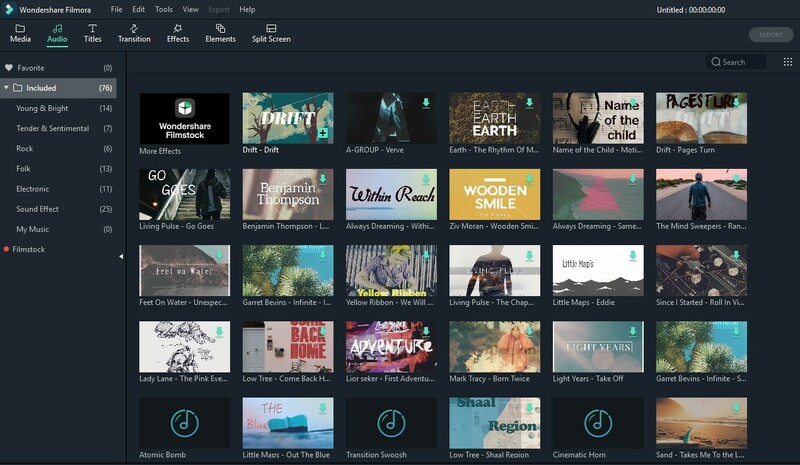 We love Wondershare Filmora as a piece of software, because it so easy to use and so intuitive, even a complete novice can quickly produce an awesome video. It's got loads of extras for those who want to get even more creative too. Here's a quick step-by-step introduction to using Filmora for your Mother's Day video. 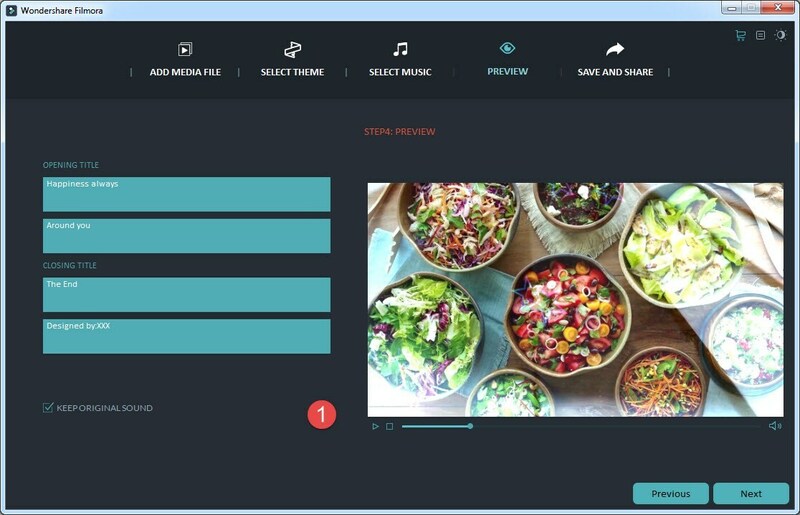 If you've not used Wondershare Filmora before, you'll need to install the software to begin using it. Simply click the button to start the download, choosing either OSX or Windows version as required. The wizard will instruct you through the rest of the installation process. 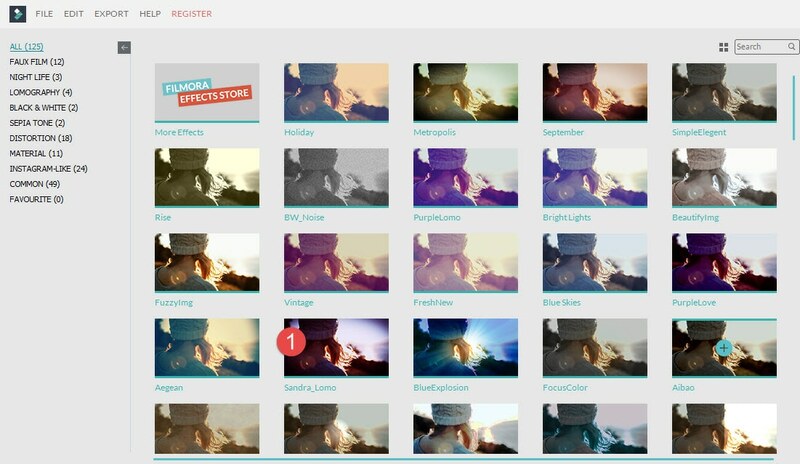 You'll need to register yourself if this is your first time using Wondershare Filmora for Mother's Day video editing, but it doesn't take more than a couple of minutes. Now select and import your Mother's Day video greetings from your computer into the software. The program will create a new file for your edited video, making no changes at all to the original. 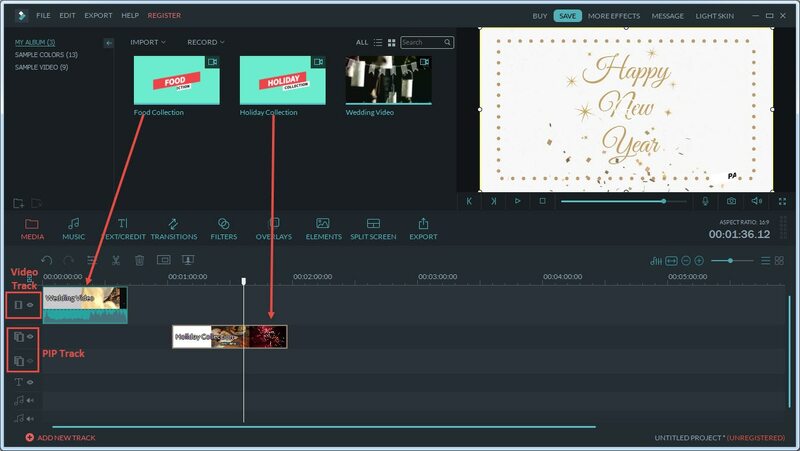 Simply drag and drop your file into the timeline in Filmora to begin editing your clip. Perhaps you want to cut out some parts that you decided against, or where what you said went wrong or an interruption occurred. Editing is easy; simply use the slider to select the beginning and the end of the part you want to remove, then press delete to cut them out. A transition effect can make a more professional link between different images, or between separate recordings in a production. If you have more than one video clip to link together or want to insert static images or other content part way through, simply click the transition button to access the library and add this effect to your film. Step 5: Would you like to say it with written words too? If you'd like to add words to your Mother's Day video, simply select the text function and drag and drop the required effect. To edit the words, double click on the text on the screen. If you've done a bit of video editing before and would like to get more creative with your Mother's Day video greetings, there are numerous filters built into Filmora to help you make things more interesting. Playing around is never dangerous, as you can always undo any changes, so why not try some things out to see if they can improve your production? Step 7: Could musical accompaniment make things better? Adding music can give another dimension to a video, so feel free to choose from the list of royalty free music tracks available within FIlmora. With more than 20 to choose from, you're bound to find something that will fit your Mother's Day video perfectly. The software allows you to customize the music playback, changing volume, fading in and out and more. 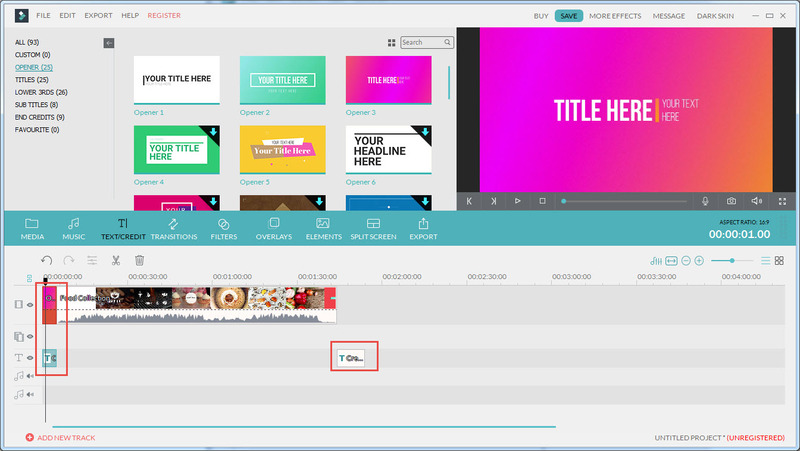 Once you're all done, slide back to the beginning of the video and click play for a front row preview of your work. If you're happy with what you've produced, simply click export to save it in any format you choose or to burn it straight to DVD ready to send to mom. How will you greet your mom this Mother's Day? Cards are great, flowers are lovely, but a Mother's Day video greeting can be something really special. Whether you live on the other side of the world or just down the road, mom will be delighted with her video message and impressed by your creativity too. Go the extra mile to show your love this Mother's Day with a cool video message just for her.